XXII, 285 p., 17,2 x 24,4 cm. According to a widely unchallenged view of the history of moral philosophy, moral autonomy, the idea that man himself is the source of moral laws, is seen as an invention of the modern era. Accordingly, Francisco de Vitoria‘s (approximately 1483–1546) theory has up to now always been interpreted as an allegedly »typically medieval« foundation of morality in nature or in the will of God. 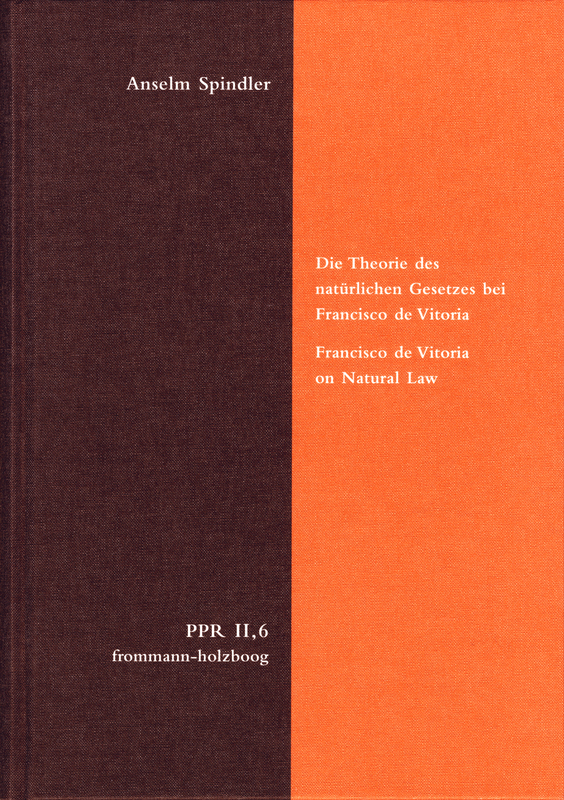 Spindler however shows that Vitoria regarded natural law as the law of practical reason and thus opposed the »typically medieval« theories of natural law. For Vitoria, autonomy was the only possible reason for a universal morality.